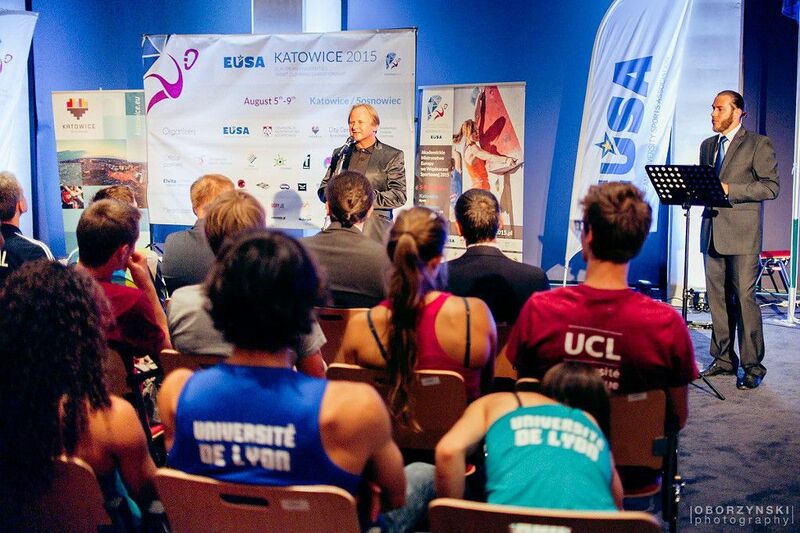 On August 6, the official Opening Ceremony of the first edition of the European Universities Sport Climbing Championship took place. 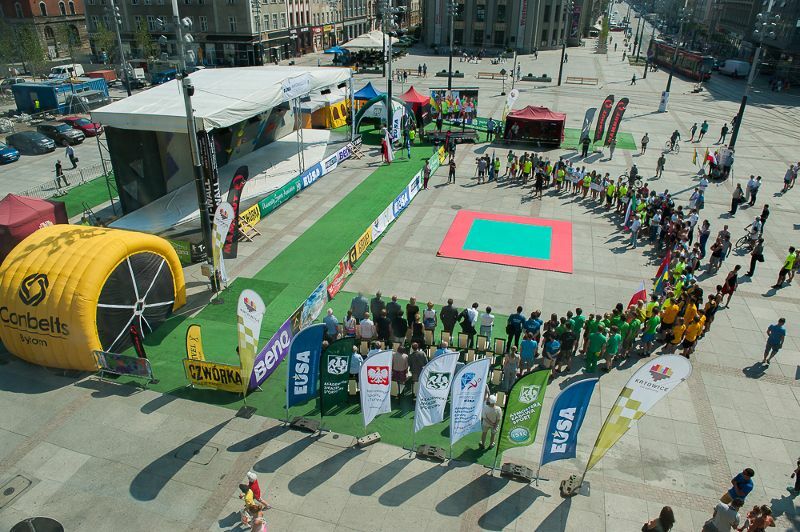 All the participating teams gathered on the Market Square in Katowice which embraced the Championship as one of the events in the 150th anniversary of the city. The atmosphere was filled with excitement, as well as some tension, as this was also the first day of the competition. Focused faces of climbers and coaches gave an impression they are completely immersed in thinking about forthcoming Championship. 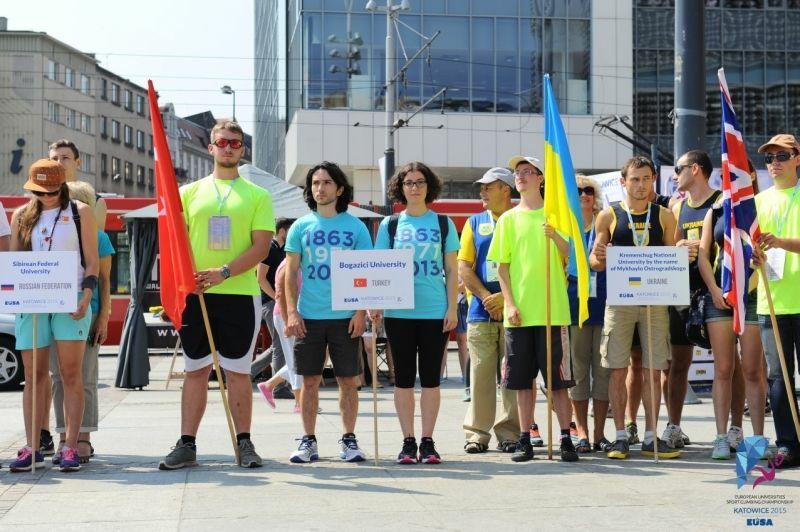 The Opening Ceremony began with formal greetings of participants by the authorities of City of Katowice and Sosnowiec, AZS representatives and all guests. Afterwards all the sport teams from 24 universities presented themselves in a festive march. Just after National Anthem of Poland, the President of Organizing Committee gave a speech, welcoming and greeting everyone and wishing good luck for tournament. In this moment the Championship got officially started. Then one of the climbers, Anna Brożek and referee, Artur Polański made the oath of the athletes and officials, emphasising the spirit of fair play, competing and doing one’s best. 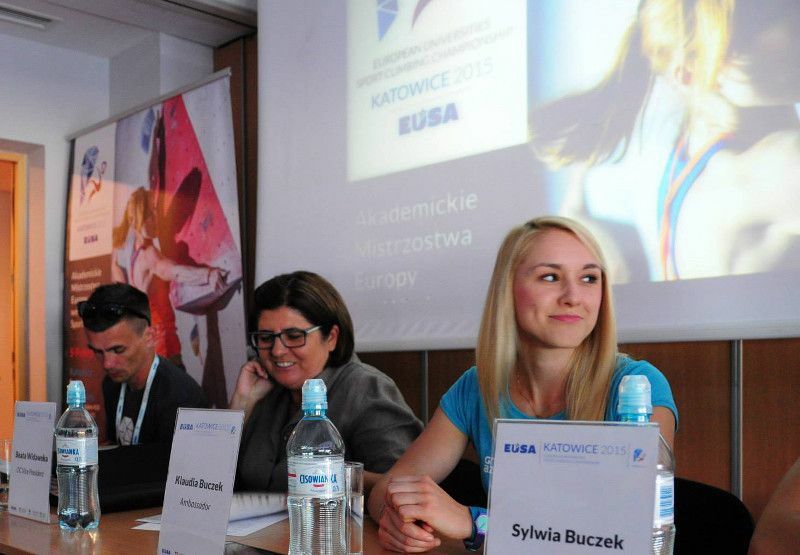 The ceremony continued with official EUSA and academic anthem ‘Gaudeamus igitur’ and exciting show of Trick Silesia – group of young, talented freestylers doing an amazing mix of martial arts, gymnastics and breakdance. The European University Sports Association (EUSA) is represented by its President Mr Adam Roczek, Sports Manager Mr Patrik Perosa and Technical Delegate Mr Carlo Beltrame, and together with the Organising Committee, event ambassadors and the International Federation of Sport Climbing (IFSC) they are making sure that the event will be successful and offer top condition, as well as fun to the participants. 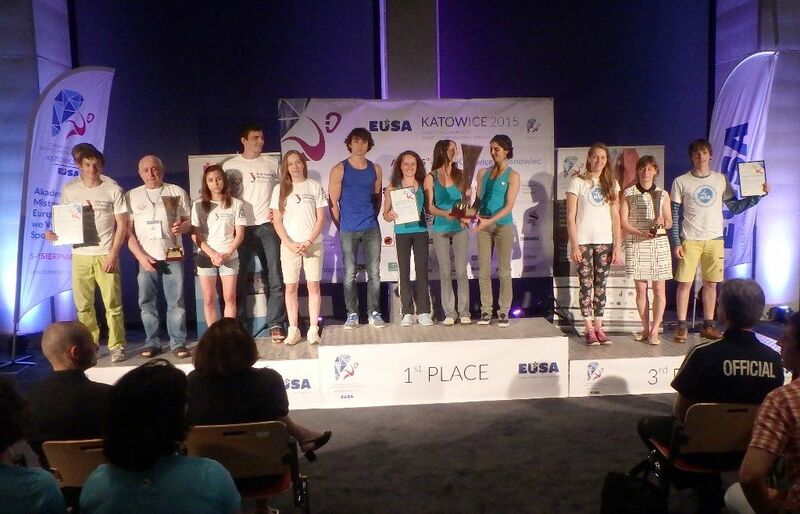 The last day of the European Universities Sport Climbing Championship on August 9, 2015 in Katowice, was all about lead finals, awards and closing ceremony. The day started with the Lead semifinals on the wall Poziom 450 in Sosnowiec. Already during elimination it was known that the competition will be held under the dictation of athletes from French universities. Fanny Gibert, Nolwen Berthier and Marine Girardet from the National Institute of Applied Sciences – Lyon 1, fought battle for the medals in female category and eventually in this order stood on the podium. Among the men in the finals was most Russians athletes, but the best was Thomas Joannes also from the National Institute of Applied Sciences - Lyon 1 from France, silver went to Dmitrii Fakirianov from Ural Federal University from Russia, and bronze to Antoine Kauffmann from the Catholic University of Louvain-la-Neuve from Belgium. 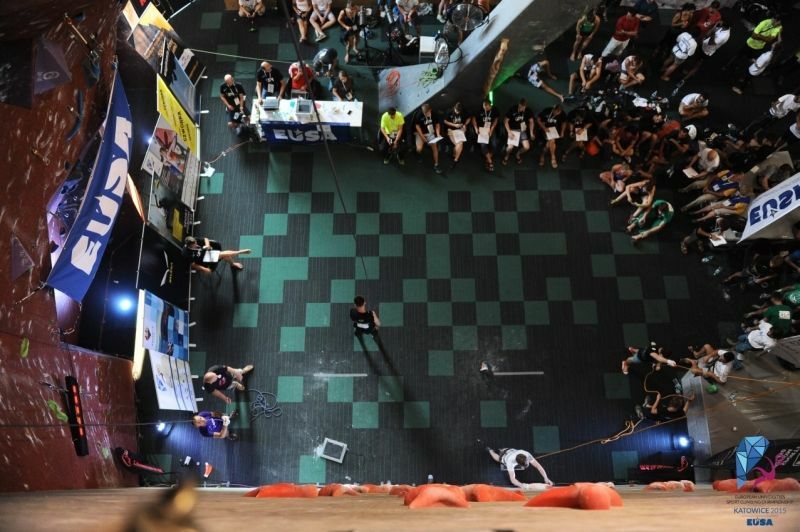 The first edition of the European Universities Sport Climbing Championship was prepared in close cooperation with the International Federation of Sport Climbing (IFSC) and consisted of competitions in Speed, Bouldering, Lead, as well as featured the Dyno Jumping Contest and T-Wall Bouldering Cup. The medal ceremony connected with the closing ceremony, took place in the International Congress Center in Katowice. Mr Patrik Perosa, Sports Manager of the European University Sports Association (EUSA) and Mr Slawomir Witek, Head of the Department of Sports and Tourism of the City of Katowice positively evaluated event's debut in European competition, and the Organizing Committee has prepared the whole event perfectly. This opinion is also shared by all the players and coaches who compared the level of events to the World Cup rank in sport climbing. It should also be noted the high level sports events, for which they provide names of the participants who regularly compete in major international events, also winning medals. We can safely said that AZS Katowice scored another valuable organizational experience sure to benefit from the next international event. 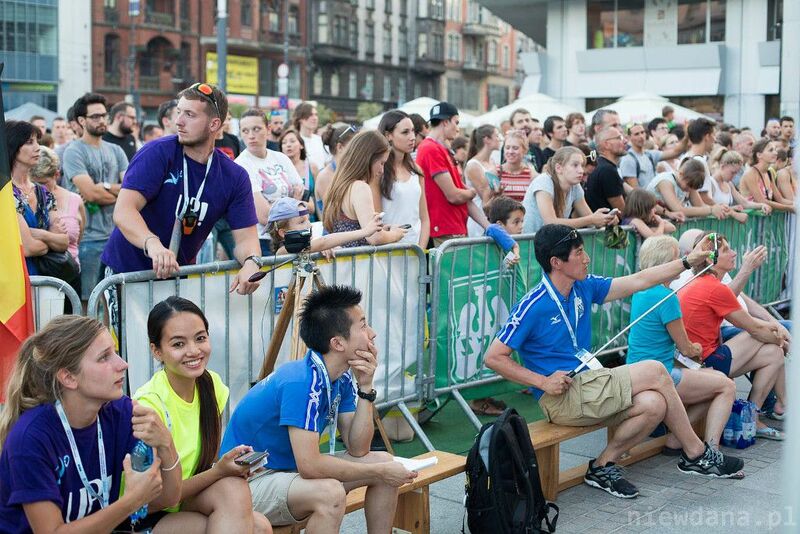 Co-organizer and host of the event was the City of Katowice, which is celebrating its 150th anniversary this year. 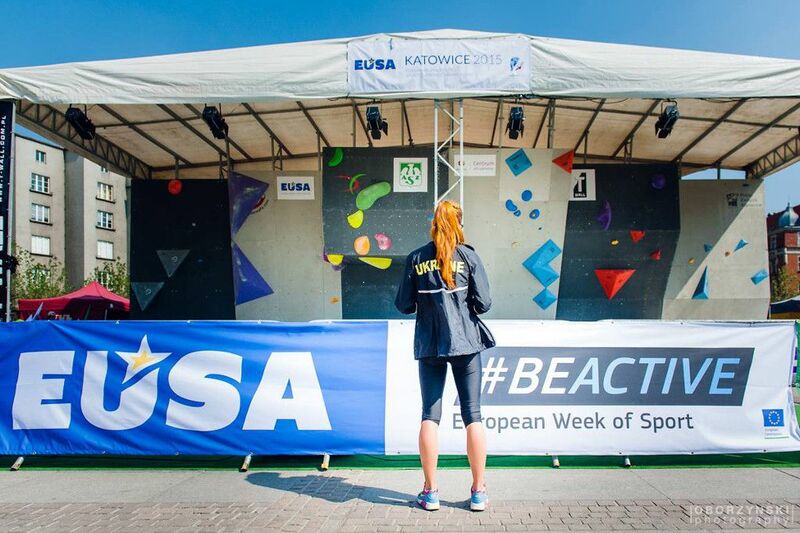 The event was also used for the promotion of the European Week of Sport and the #BeActive campaign. 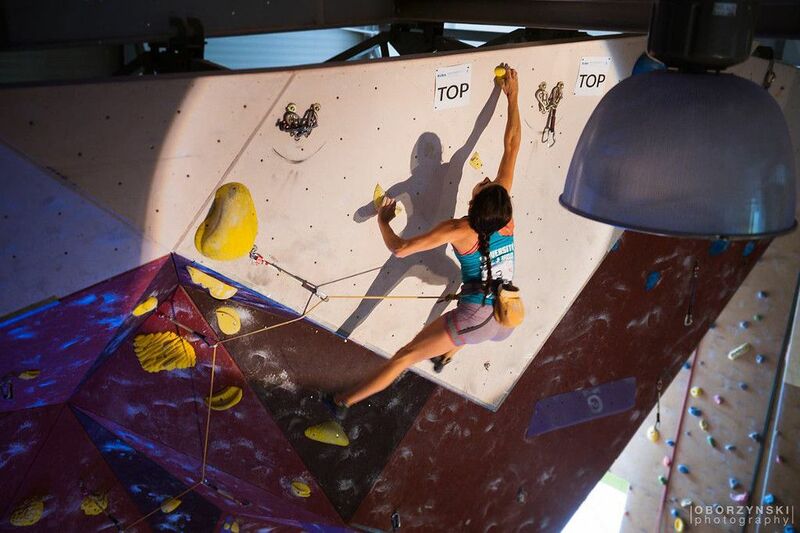 For detailed results and extended photo gallery, please visit www.climbing2015.pl or www.facebook.com/climbing2015pl.